Conaway & Strickler was founded in 1994 and focuses exclusively on criminal law. Both founding partners represent individuals and businesses throughout the U.S. and globally. Dan Conaway focuses on white collar criminal defense, government and internal investigations and commercial, business and intellectual property litigation. Dan handles cases and investigations involving the Financial Industry Regulatory Authority (FINRA) and Securities and Exchange Commission (SEC), defending financial advisers, brokerage firms, and registered representatives. He has successfully tried cases nationwide. In transnational and international cases, Dan has advised counsel in the UK, France, Germany, Switzerland, Mexico, Luxembourg, Cyprus, Lebanon, India, Singapore, Iran, Malaysia, Indonesia, Bermuda, Turks and Caicos, Argentina, Australia and Canada. In 2017, Dan published the second edition of his critically acclaimed book, "Arrested: Battling America's Criminal Justice System (found on Amazon.com)". In 2016, Dan was invited to join the prestigious National Academy of Criminal Defense Attorneys and was named one of the Top Ten Attorneys in the nation for his excellence in criminal defense. Dan is an active IBA member and former co-chair of the IBA Criminal Law Committee. 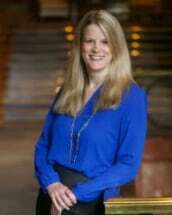 Meg Strickler is one of the leading U.S. attorneys on internet crime and technology law. She counsels clients on complex information privacy and security issues, theft of intellectual property, computer intrusions and online fraud. She is a pre-eminent trial lawyer who represents individuals and corporations, financial institutions and professional firms in criminal investigations, including SEC and tax proceedings. She also conducts extensive internal investigations for corporations and privately held businesses. In addition, she represents individuals facing tax, health care, government contracting, insider trading and bank fraud investigations. She has given lectures around the globe on topics such as intellectual property offenses, computer hacking crimes, and other international crimes. She is also the former co-chair of the IBA Criminal Law Committee and is now the co-chair of the IBA Cybercrime Subcommittee and the Liaison Officer of the IBA War Crimes Committee.